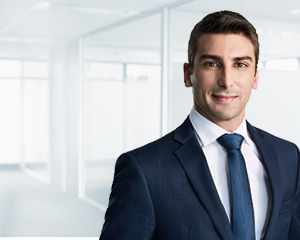 Based in Sydney, but supporting both Brisbane and Sydney clients, Nick Peronace specialises in self managed super fund (SMSF) accounting, administration and taxation, assisting clients with the establishment, administration and compliance of their SMSF. On a day-to-day basis, Nick is responsible for managing a team to proactively and efficiently handle the ongoing accounting and administration requirements of his clients’ SMSFs throughout the year. On behalf of clients, Nick completes financial statements and tax returns, and organises the independent year-end audit, ensuring the work is of the highest standard and accurate. He is also a personal point of contact for his clients to ensure high levels of service. “It’s important to me that I establish a positive relationship with clients, both personally and professionally, so that we are able to work together to achieve their retirement goals. Nick has a Bachelor of Business, majoring in Accounting from the University of Technology Sydney. He is also currently completing a Graduate Diploma of Chartered Accounting with Chartered Accountants Australia and New Zealand.